Grep command in Unix/Linux is a powerful tool that searches for matching a regular expression against text in a file, multiple files or a stream of input. It searches for the pattern of text that you specify on the command line and prints output for you. In addition, three variant programs egrep,fgrep and rgrep are available. Direct invocation as either egrep or fgrep is deprecated, but is provided to allow historical applications that rely on them to run unmodified. Example of grep command in Unix/Linux: Let’s say if you quickly want to search the string “linux” in .html files on your machine? Let’s start by searching a single file. 3. Searching for a string in multiple files. This command will search for "linux" string in multiple files at a time. It searches in all files with file1.txt, file2.txt and along with different extensions too like file1.html, file2.php and so on. 4. Specifying the search string as a regular expression pattern. 5. Displaying the line numbers. If we use the –color option, our successful matches will be highlighted for us. List all the lines of the file /etc/passwd that does not contain specific word “string”. Bash shell treats carrot symbol (^) as a special character which treat as the beginning of line. Let’s display the lines which starts with “root” word in the file /etc/passwd. 9. Display all the lines that ends with specified pattern using $ symbol. List all the lines of /etc/passwd that ends with “bash” word. ​​This grep command can report the number of times the pattern matches for each file by using -c (count) option. 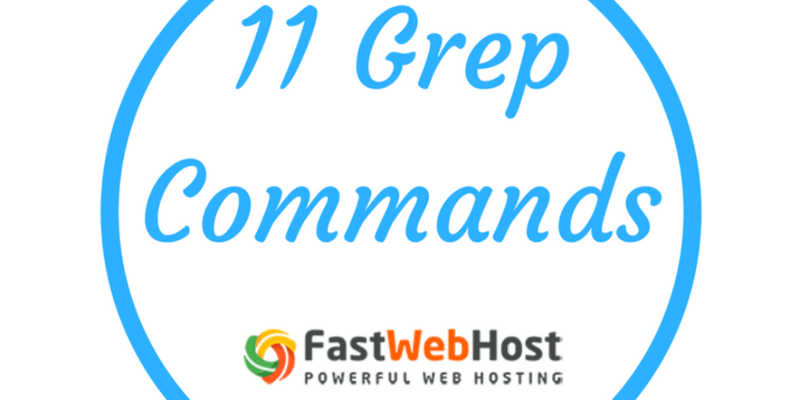 By the time you complete reading this article, I am sure you will get basic idea about grep command and how to use it on your Linux server with different search patterns. If you like this, please post your comment below. It is very useful to know the basics of grep commands.Thanks..